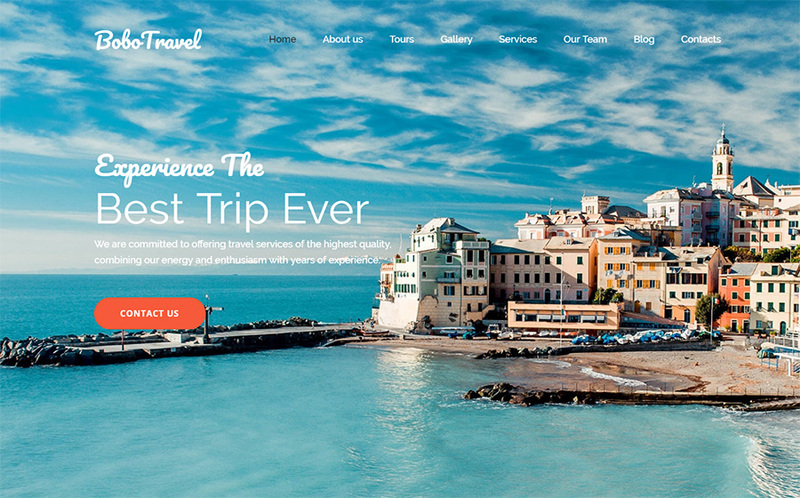 How to create an exciting travel website? Which product to choose for traveling representation on the web? Hi everyone! If you are here searching for a brilliant idea to create your travel blog or a website for a touristic business I can promise to help you! Don’t believe you can do this without coding skills? Oh, feel free to achieve your goal, this is no problem at all! I will share some tricks with you to help you with promoting your ideas, plans, and offers. If you’re just a beginner, the instruction How to make a travel blog in 3 steps may help you. Furthermore, pay a special attention to the implementation you will have with a pack. Consider the plugins and functionality you may need (e.g., Menu or booking/contact form, media library, media integration etc). This will be described and get clearer when speaking about the particular products. And what is also important, don’t forget that you should not only create but support your site or blog on the web. A few pieces of advice How to Make People Visit My Blog may be also helpful. I’d like to tell you that it wouldn’t be so easy to choose a proper template for your idea. This is caused by a great template and themes variety. The products provide different functionality. Some themes include special plugins needed for some specific areas. Also, they differ in terms of design, color variations, and blog layouts variants. Surely, the main difference will be detected by the platform of the selected product. By the way, WordPress small business themes are noticeable due to the high level of functionality included into each pack. Well, there’s nothing but to overview some templates to choose a one most suitable for your needs. Here I have selected 15 best solutions for travel blogs and touristic companies. All of them require no coding skills and the minimum of your efforts to create a top-notch site! 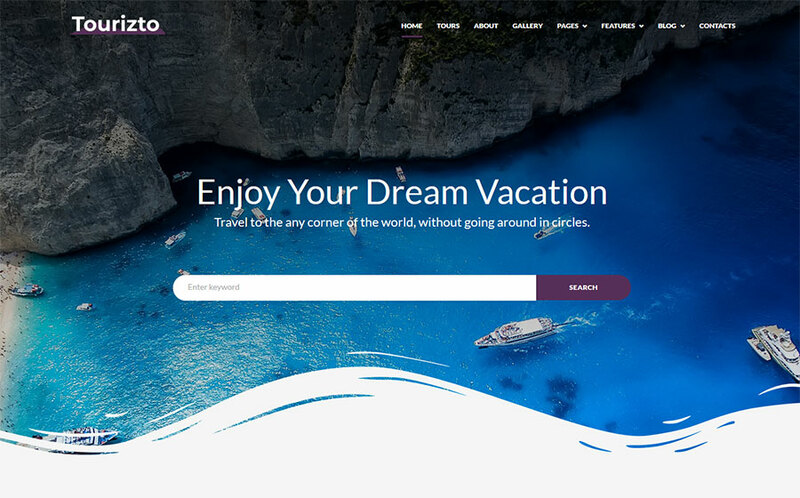 Well, if you still think that a qualitative travel website is something over you can do just have a look at TripSpot Elementor WordPress theme. Developing a top-notch product with its help is as easy as ABC due to the fully loaded functionality. Firstly, Elementor Page builder allows you to operate easily with images, texts, media content, icons etc. All you need is just uploading what you wish to see at your website and choose the layout you want to place the elements. Furthermore, the other extremely useful implementations are available: LiveCustomizer, MegaMenu, JetElements, Outstanding plugins, 4 blog layouts and much more! Another theme I’d like to offer is Journez noticeable thanks to the exceptionally beautiful predesigned pages and also high-level features set. All you need for a travel website is included so you can create a home, about, service and single service, tours and single tours pages. Using Elementor and LiveCustomizer functionality you needn’t spend much time for designing process. You are also offered with the special giveaways like JetElements, JetBlocks, JetTabs, Outstanding plugins, bonus images and not only. So you can easily select a proper balance for your content, add login forms and authorization links, hamburger panels, and so on. And even more good news I have! 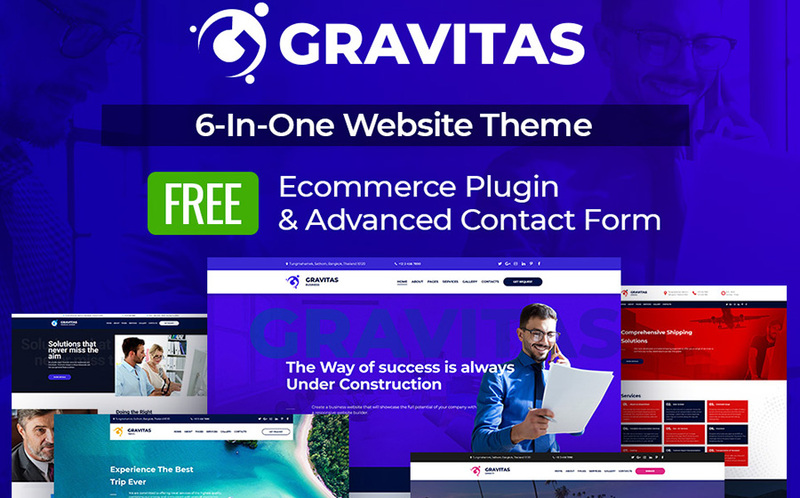 Any business you would like to represent you can consider Gravitas Moto CMS 3 Template as a simple solution. 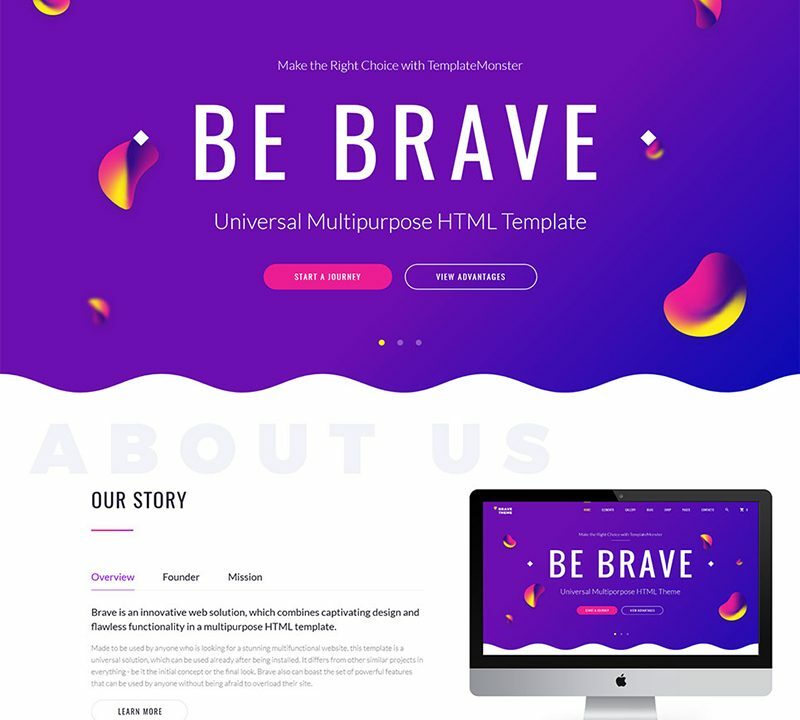 It includes 30 Ready-made pages (4 ones with predesigned elements), 6 Homepage layout variants for travel websites, charity, finance and consulting, shipping, interior design. Ecommerce plugin and Advanced Contact Form are available for free. You’ll surely enjoy the theme functionality providing blog, gallery, portfolio and online store/shop. Furthermore, it has some useful Moto CMS Widgets: Google map, Presets Builder, Menu, media library etc. Your site will look gorgeous thanks to the excellent gallery script (grid, slider, and carousel animation). This fully responsive template is developed for travel application area and most suitable for travel agencies. The visitors can be impressed at a glance with the screen-sized header space with a photo-background and a bright call-to-action button. The next in the range is OceanYacht template also Moto CMS 3 based and greatly equipped with features set. 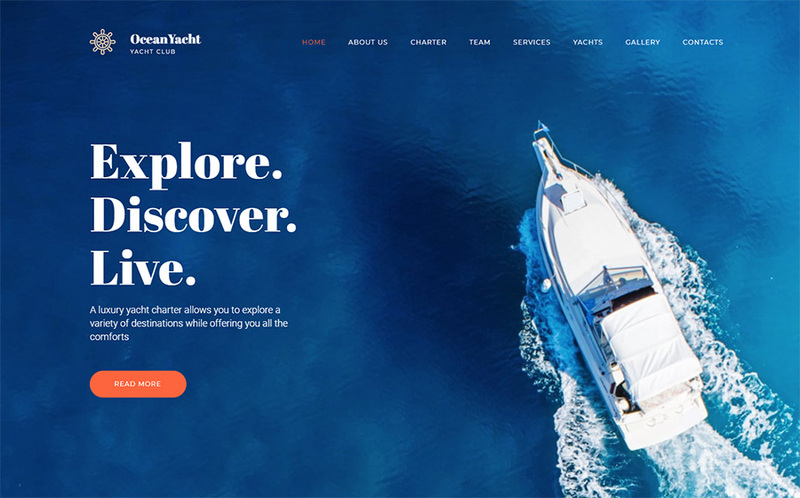 Due to its fresh design with the proper elements, you can use it for yacht club websites but also apply for any travel purpose thanks to the high functionality level. Considering the gorgeous media integration you can develop a really luxurious and modern-looking product. What is important, the blog functionality is included so the notes highly necessary for travel websites can be handled in the most beautiful way. The pack is supported in 12 languages so you can feel free to find any necessary help while using OceanYacht template. 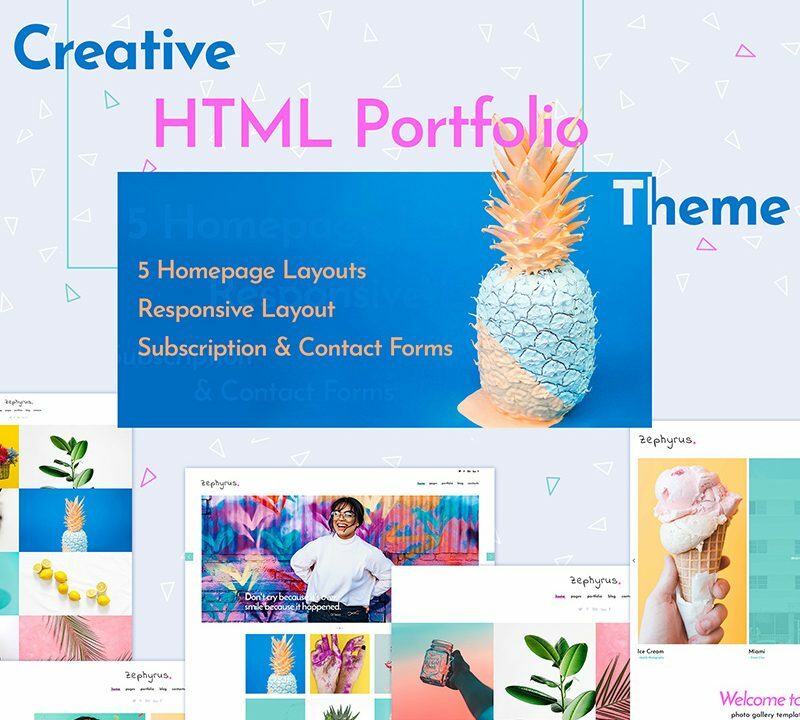 One more interesting multipurpose theme I’d like to add to this list is Slife Theme. 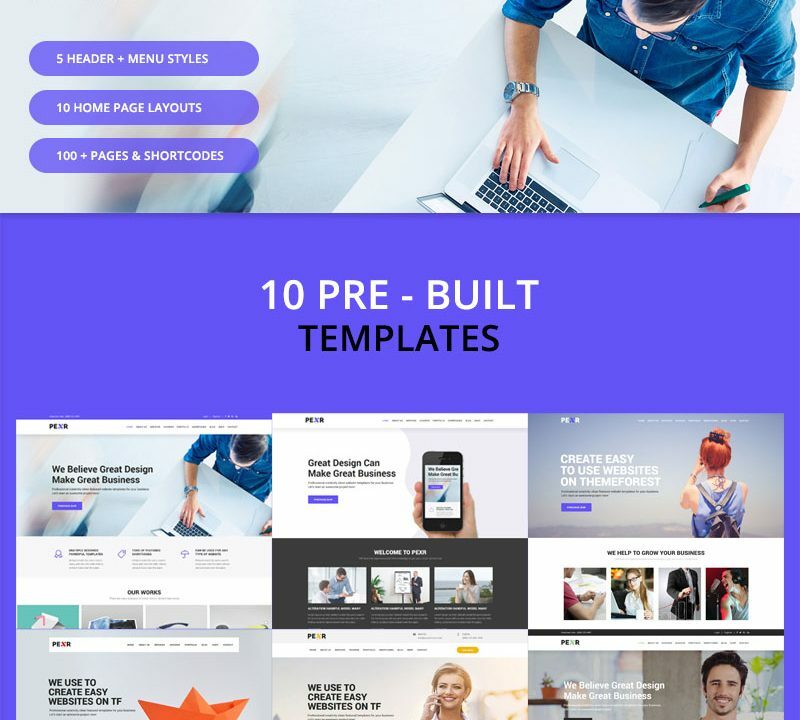 This is a news portal Elementor WordPress design theme – a modern graphics constructor allowing to create extraordinary selling, subscription, and different landing pages. Indeed, it is stunning and user-friendly, providing astonishing pages for all occasions. Free images, awesome plugins (e.g., JetElement, JetTabs, and JetBlog), valid and clean semantic code and tons of other useful implementations and features are in this pack. What is more, Elementor functionality – as you already know – makes possible just uploading your content and data to enjoy the great final result! 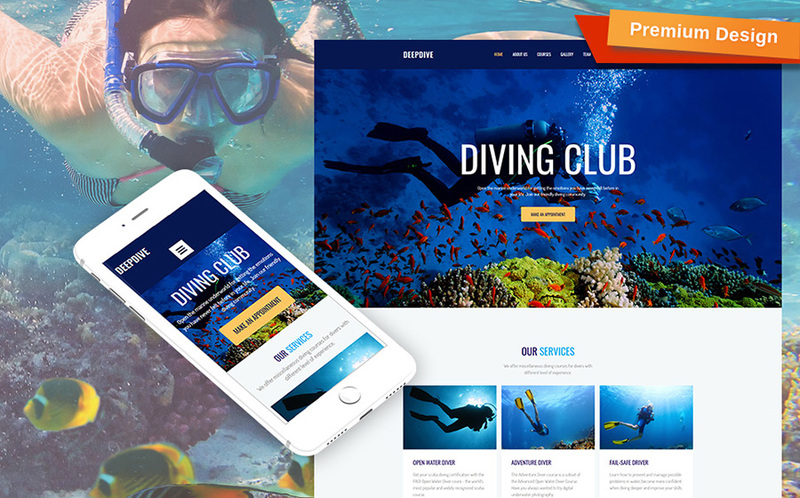 Have you heard about scuba diving themes and templates? Not yet? Find a great solution for this field and actually any traveling website application if you like. NavyBlue is a Moto CMS 3 based template with fresh and dreamy outlook. On the top site are you can find a functional and handy menu. Then, an animated picture background will make your potential customers feel like want to book one of the proposed options with the help of a well-placed Book-now button. You can also represent your services and show your motivating images, as well as create an exciting blog. All these actions are possible and easily accessible thanks to Moto CMS 3 template functionality. Now a creative split-screen Elementor WordPress theme is going to be observed for your kind attention. 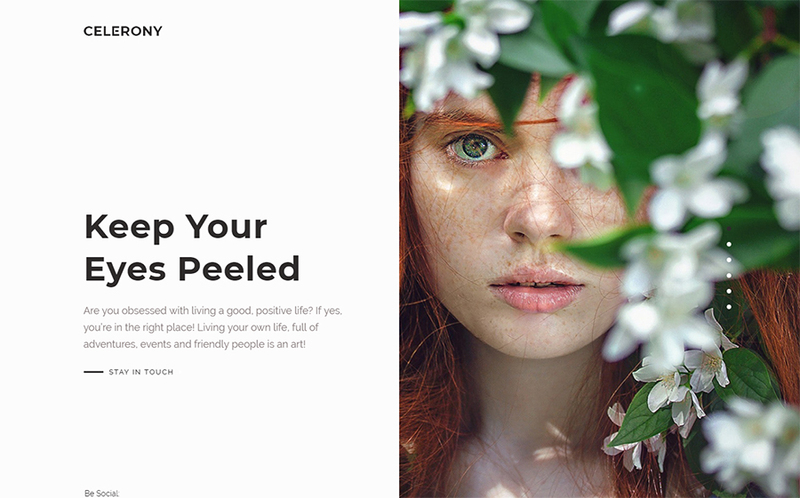 Well, Celerony theme is a sophisticated feminine solution for any purpose you may need. The excellently predesigned pages (home, services, about, works, testimonials, contacts) include the tender and stylish elements allowing you to stress your style and even mood. The Elementor page Builder gives you a great possibility to concentrate on the content and not spend much time and efforts for designing, coding and setting your product up. The included plugins and giveaways provide more possibilities to arrange your site representation. And now let’s get back to diving application sphere. One more highly qualitative and convenient solution I’d like to represent for your possible actions is Deepdive template. It is also powered by Moto CMS 3. As well, it can be applied for different kind of sports and outdoors websites, traveling and other goals. This is possible due to the fresh and bright outlook and the included variety of functions and implementations. 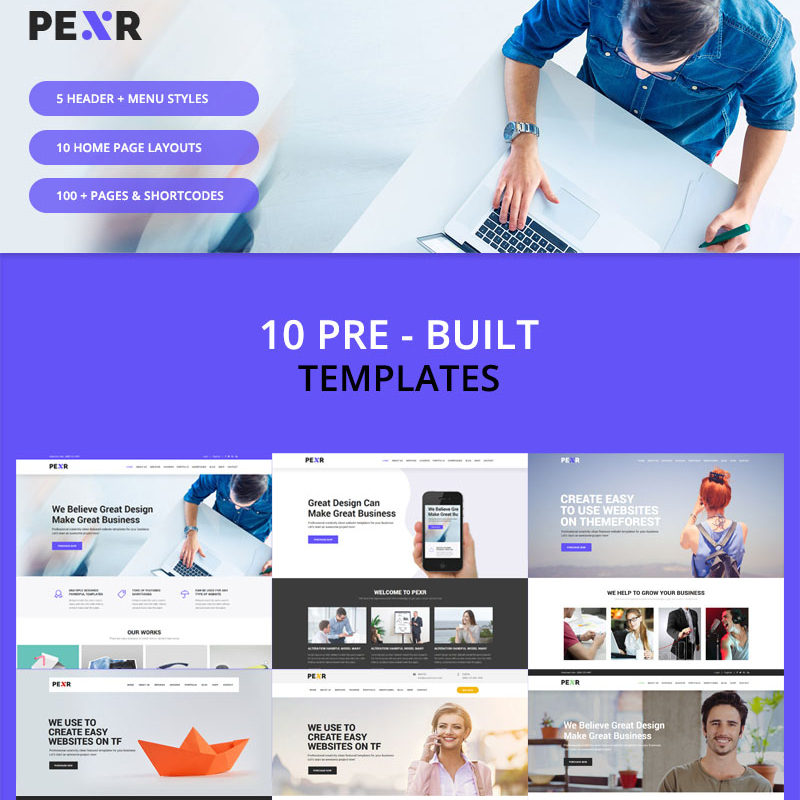 The template is variously customized with different premade pages, provides a good opportunity to develop a professional blog, has convenient widgets (video widget, audio player, color picker, social media etc. ), specialized photo gallery and much more. 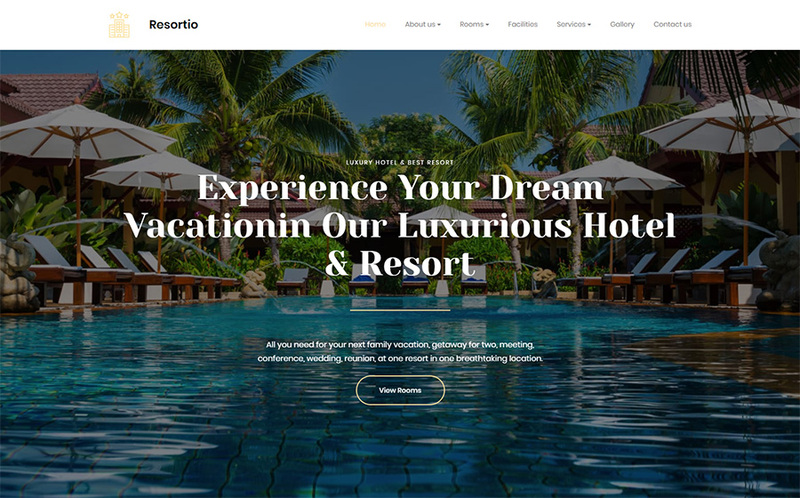 To continue the topic, here comes a lovely WP theme for travel agencies and any kind of touristic business. You can develop not only a professional website for the mentioned business area but also provides you a great possibility to create a professional travel blog with no efforts from your side. The four awesome blog layouts will suit any taste and need. As regularly for Elementor based themes, if you have no designing skills, you can anyway generate a qualitative product operating with texts, videos, counters, icons, images, tabs, alerts, social icons and so on. 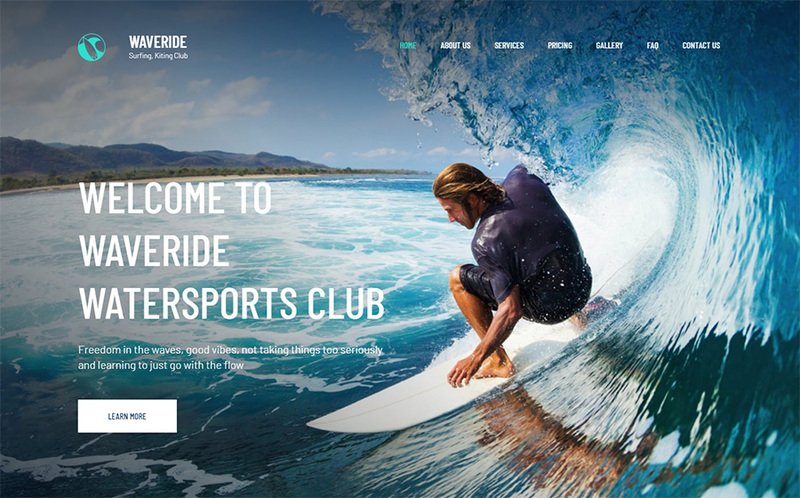 Find here one more flexible, bright and fresh Moto CMS 3 template for diving and sports. It also looks great thanks to the animated predesigned pages. You can create a professional blog, a qualitative gallery and, in general, a good representation of the sport you are promoting. 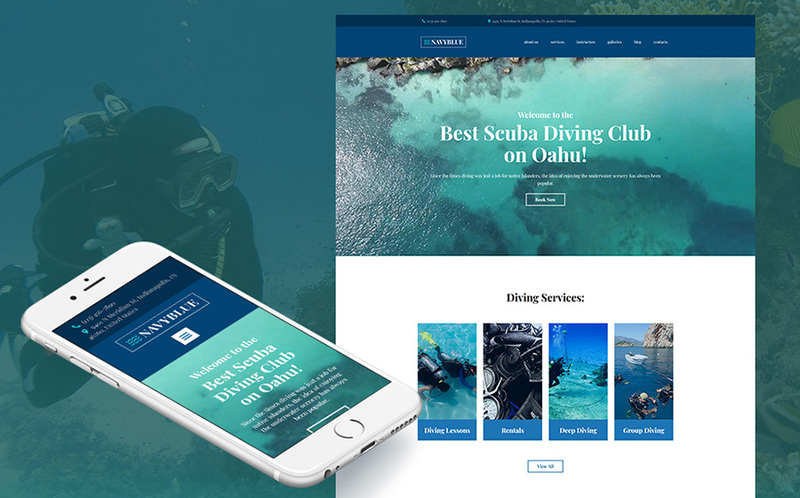 It’s easily customizable and you can choose any layout variation you wish, but mostly you would have a fresh outlook with pictured background and modest white fonts creating a sense of ocean freshness and freedom. Try to enjoy it! 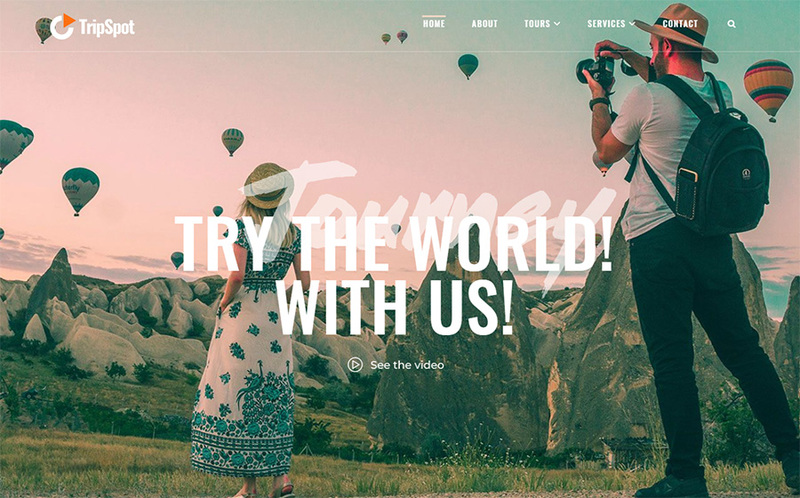 If you have already liked Elementor functionality and would like to develop a good website for your touristic project you can also consider hereby described solution. 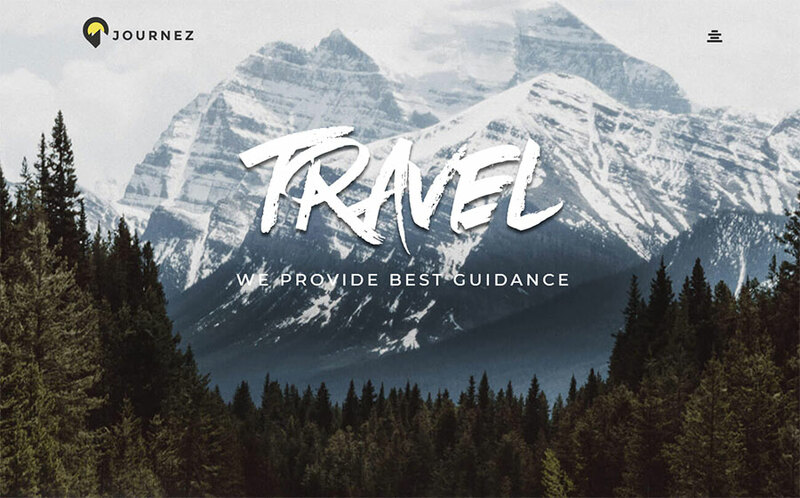 Tourizto WordPress Theme is greatly suitable for travel companies, agencies and any business selling touristic services. Additionally, the theme provides a number of modernly and creatively predesigned pages and elements. They are waiting just to be added with your data, images, and texts to be handled into a top-notch website. You’ll have a good pack of plugins (Jet, Cherry, and Outstanding plugins, MegaMenu etc), 4 various layouts for your blog, and much more in the pack! 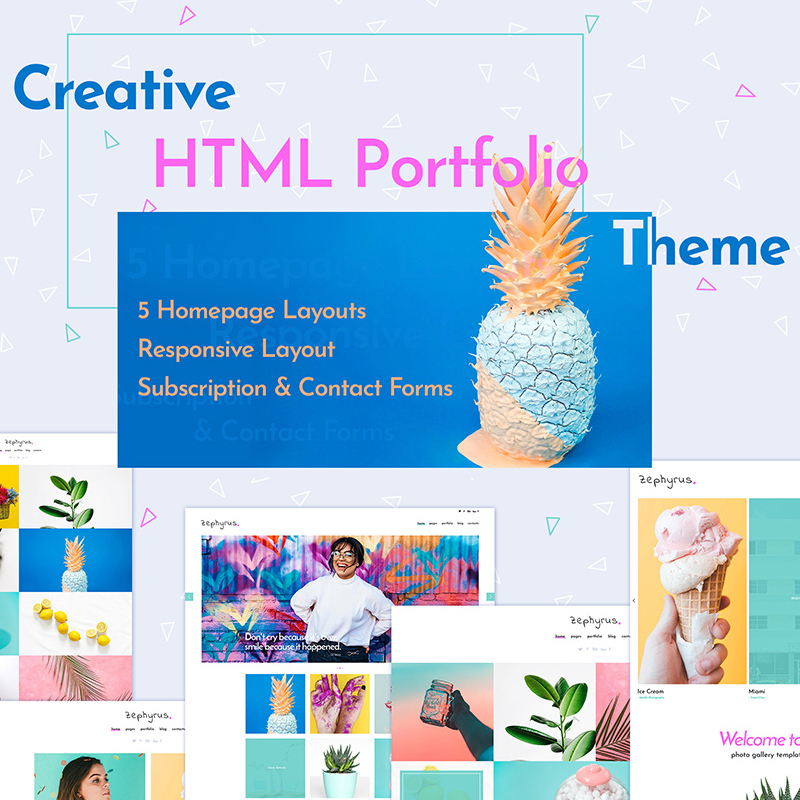 Moto CMS 3 products – as you could have already noticed from the above-observed templates – offer quite good solutions for those sites where the luxurious and extraordinary layout is important. Resortio template is not an exception! It may be chosen if you are creating a hotel website, touristic business unit on the web or any purpose you like indeed. Well-organized contact form and media library will help you to establish a contact with your clients and support your business. The advanced blog functionality allows sharing your ideas and project tricks. 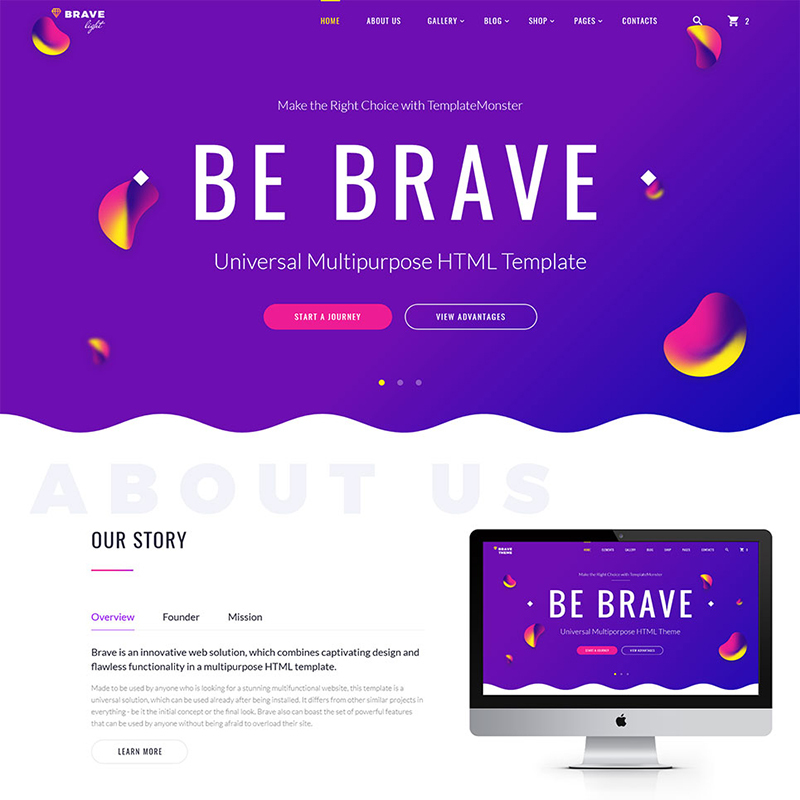 The template is packed with HTML plus JS animation and lazy load effect making your site even more beautiful. One more template to be discussed will suit the need of a professional touristic and traveling business as well as just the needs of a blogger or any person sharing his/her traveling experience. 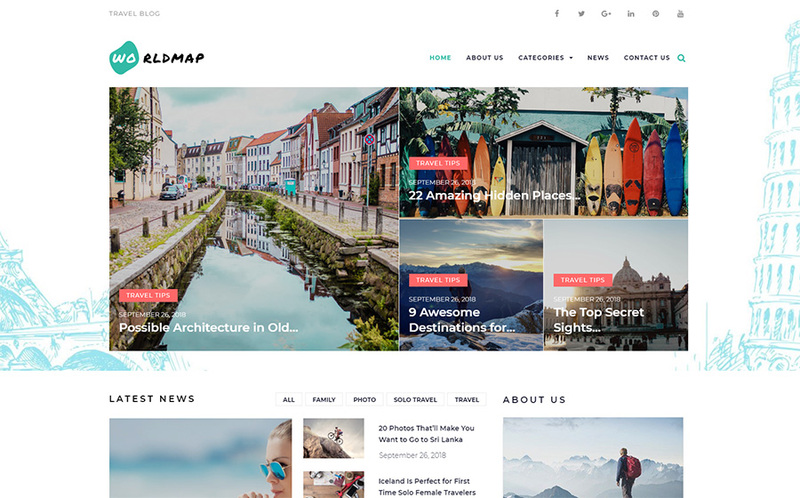 WorldMap WordPress Theme is developed with an accent on the awesome traveling blog in 4 various gorgeous layouts. You can implement your website with any trick you like due to the Plugins supporting the product. Outstanding and JetElements plugins, different and exciting Cherry layouts are right those needed for the application area. 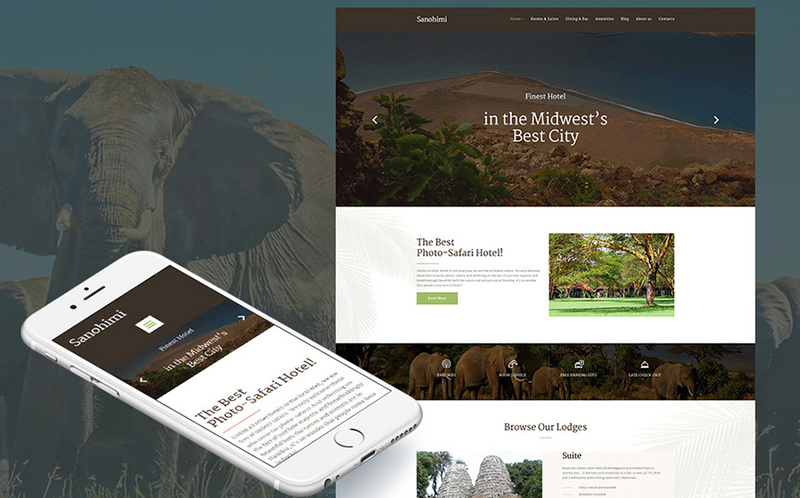 And the last template product in the range of these amazing solutions for traveling is Sanohimi Exotic Hotel Moto CMS 3 Template. It is noticeable thanks to the fresh design, modern outlook, exciting animation, being so easy to use and fully loaded functionality. Google Maps, Media Library, Presets Builder and Menu are integrated for your convenience. The template has a nice code so it requires almost no of your skills or efforts in this. 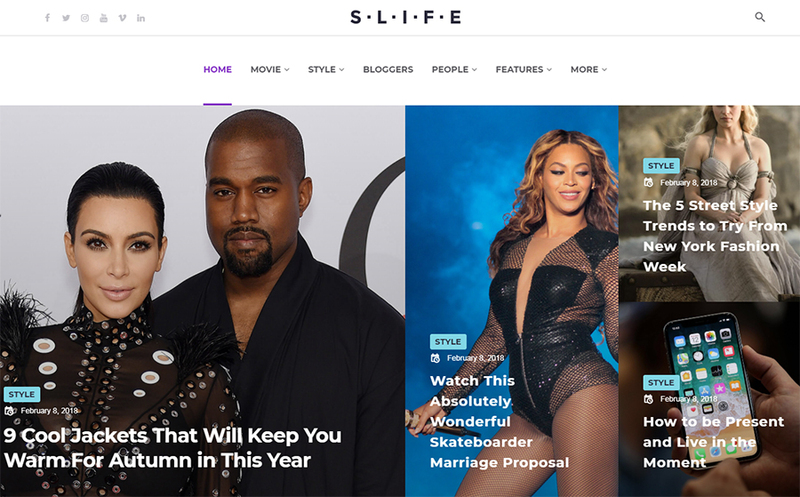 The high level of media integration makes the website interesting, bright and informative at the same time. Audio and video players, video integration and media library file manager allow you to operate with media content easily. Have fallen in love with one of those described products? Ah-ah, I see, maybe not yet. Let’s make a short summary of what we have considered. All those templates are qualitative and well-equipped, beautiful and professionally designed. By the way, they are different. We have observed two main groups – WordPress themes and Moto CMS 3 templates. Let’s say a few words about their main advantages for us. And surely each product is special and provides a set of features needed for a specific aim. Have a look at these products and other qualitative solutions at TemplateMonster official website also. Try a one and enjoy your great result!